According to a report from the Sporting News, adidas will be decking out some of the teams that they sponsor is new, short-sleeved jerseys during the NCAA tournament. Adidas would not specify which schools would be wearing the new jerseys, but they did confirm that some would look like the new jerseys that the apparel company outfitted the Golden State Warriors with earlier this month. 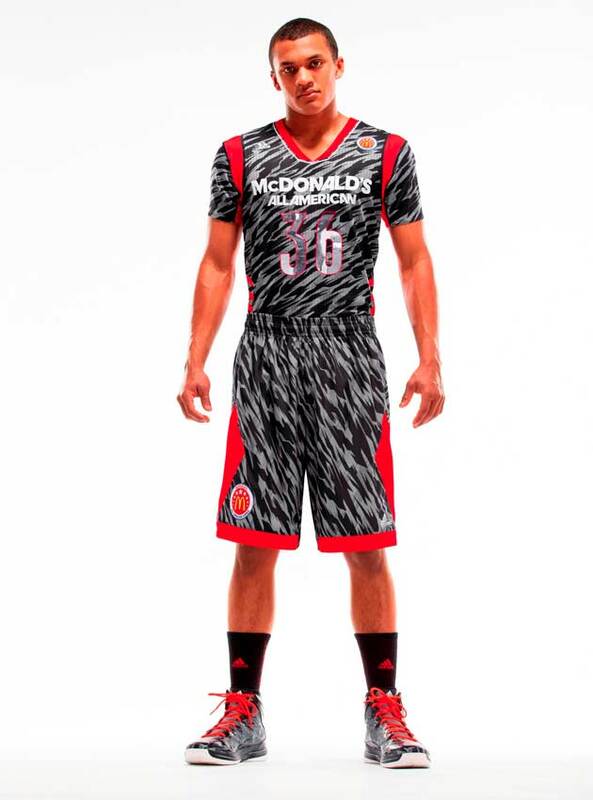 There is also some speculation — based on a series cryptic pictures tweeted out by Adidas — that the jerseys could end up looking like these camouflaged McDonald’s All-American uniforms. 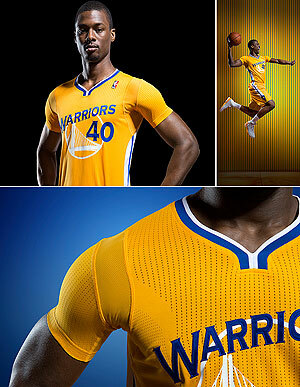 So who will be wearing these jerseys? According to the report, Louisville has been informed that they will be wearing the new uniforms. Michigan and NC State will not be, and Indiana officials said that they had not been contacted yet. But on the adidas twitter feed, teasers for UCLA, Baylor, Notre Dame and Cincinnati were posted, in addition to Louisville. Do you like the new jerseys?